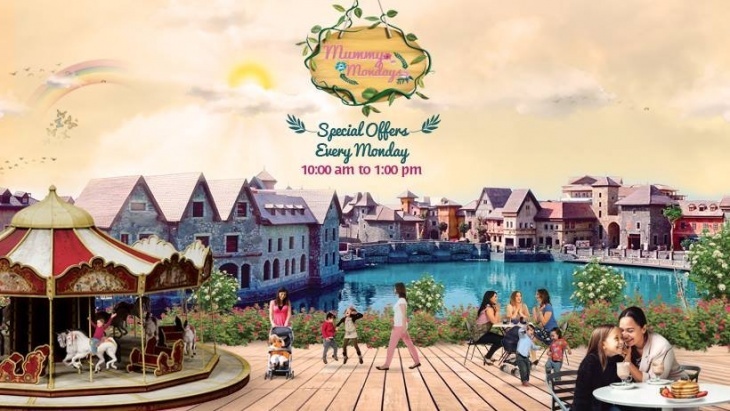 Enjoy plenty of smiles all round with Mummy Mondays at Riverland Dubai! Riverland Dubai is rewarding the hardest job in the world, being mums, with exclusive offers at thir cafes, restaurants and other outlets, as well as weekly programs – from arts and crafts to pictures and Pilates classes... dedicated for you to enjoy with your little ones. Come! Get out and about in the open, rejoice in the toddler-friendly activities, all within the refreshingly themed environment. It’s time for you to have a well-earned break in the week, while we keep your little ones entertained!